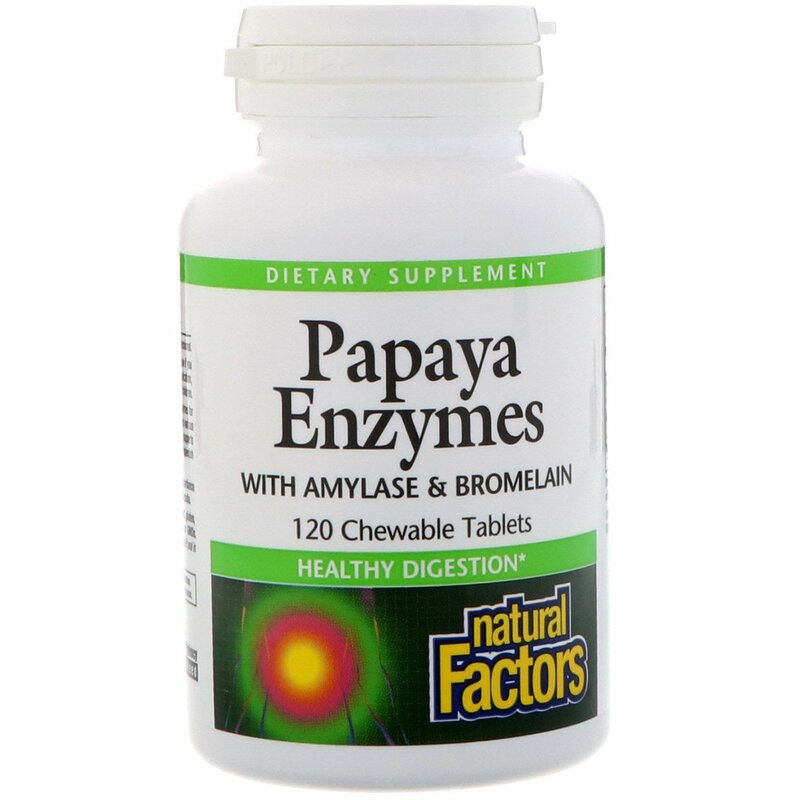 Chewable Papaya Enzymes tablets are a delicious source of beneficial enzymes for supporting digestion. Papain and bromelain act to break down proteins into various amino acids. Amylase breaks down carbohydrates. 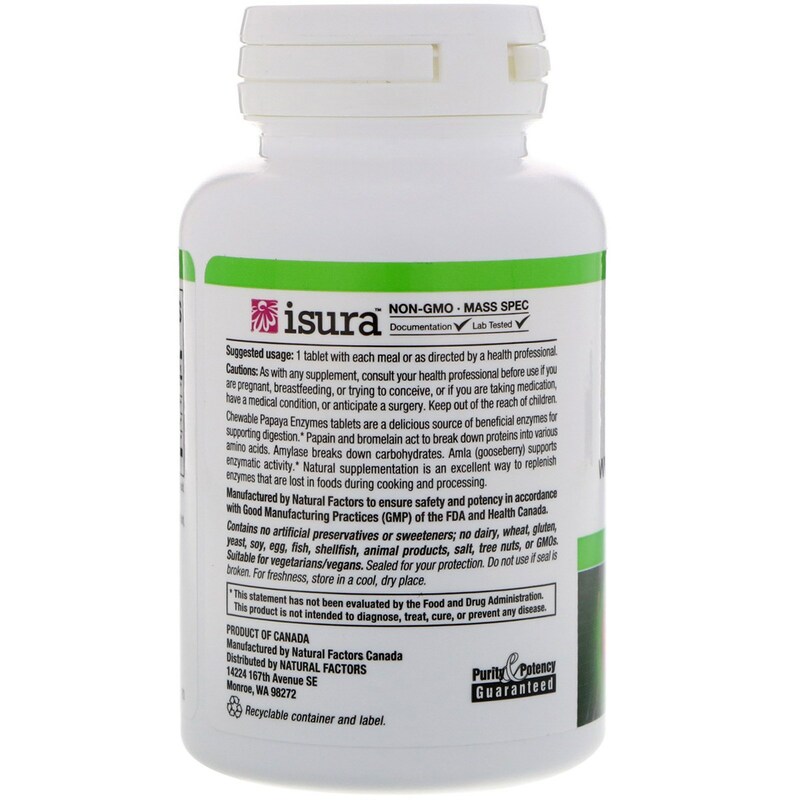 Amla (gooseberry) supports enzymatic activity. 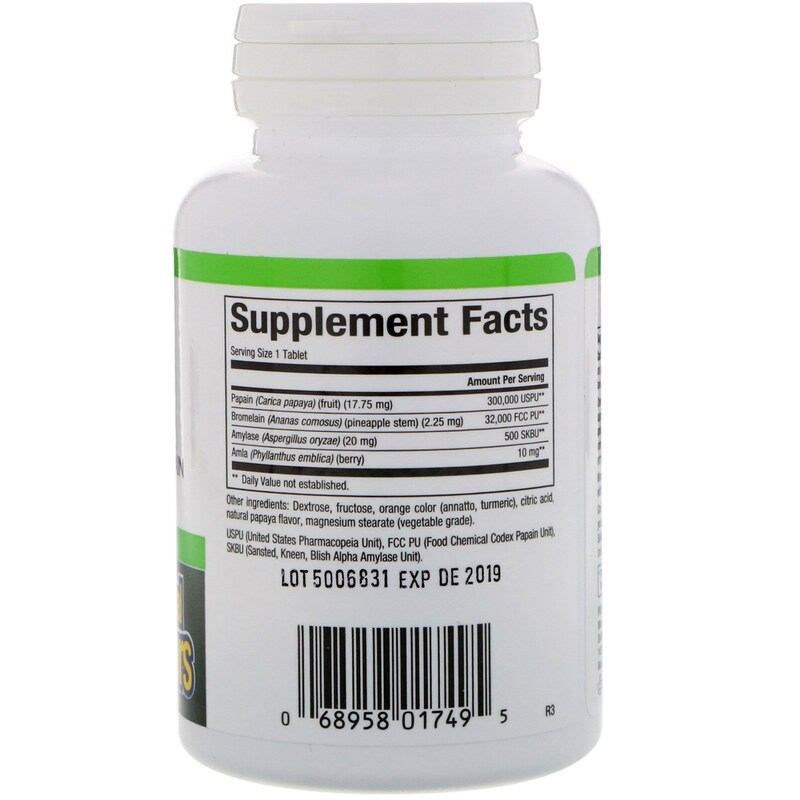 Natural supplementation is an excellent way to replenish enzymes that are lost in foods during cooking and processing.